Lou Lou Girls > Cassie > Amazing Sandwich Bread! This was my first successful sandwich bread ever! I have made two different versions, one all white and the other half wheat flour and half white flour. We have been trying to be more frugal so I thought it may be a good idea to make our own bread. I send Matt to school everyday with a sandwich and we are saving a little money. Anyways, this bread has been awesome! 1. In a mixer bowl, combine the flour, water, honey and instant yeast. Whisk until very smooth, to incorporate air, about 2 minutes. It will be thick batter consistency, cover with plastic wrap. 2. In a medium bowl, whisk together the flour, dry milk and instant yeast. Sprinkle the flour mixture on top of the dough starter and cover tight with plastic wrap. Allow it to ferment for 1 to 4 hours at room temperature. 3. After the 1 to 4 hours, add the butter to the dough starter and mix on low speed (#2) with a dough hook for 1 minute. It will form a rough dough, scrape down the remaining dough on the sides. Cover the bowl with plastic wrap and allow the dough to rest for 20 minutes. 4. Sprinkle the sea salt on the dough and then knead the dough on a #2 again for 7 to 10 minutes. It will be smooth and shiny and stick to your fingers. 5. In a lightly greased large bowl, push down the dough and spray the top with cooking spray. Cover the container with plastic wrap. Allow dough to double in size about 1 1/2 to 2 hours. 6. Try to maintain as many of the air bubbles as possible. Pull out the dough and fold the dough over from all four sides like a business letter, turn and fold like a business letter once again. Place back in the container, oil the surface again. Allow to rise until double in size about 1 1/2 to 2 hours. 7. After doubled pull the dough out cut in half and shape loaves. Make sure to pinch the edges to keep in as many air bubbles as possible. Place loaves in the prepared greased loaf pans; cover them loosely with oiled plastic wrap, and allow to rise until the center has risen about 1 inch above the sides of the pan, about 1 1/2 to 2 hours. 8. Preheat the oven for 350 degrees 45 minutes before baking. Have one pan on the bottom shelf and one shelf up place a baking stone. 9. Quickly and gently set the pans on the hot baking stone. Toss 1/2 cup of ice cubes into the pan beneath and immediately shut the door. Bake for 50 minutes and until medium golden brown and a skewer inserted in the middle comes out clean. Make sure that half way through you turn the pans around for even baking. 10. Remove the bread from the oven and set it on a wire rack. Brush the top with butter. Take out of the pan and allow to cool on the wire rack. 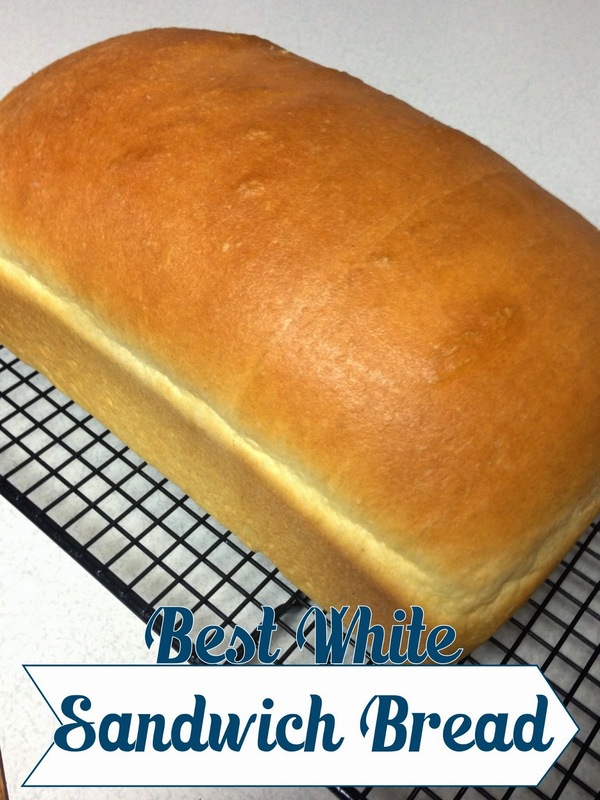 I may just have to go buy a scale just to make this bread! I've always been intimidated by bread making, I should probably just take the plunge.